Seeing two pink or blue lines pop up on a pregnancy test is one of the most exciting moments for many when trying to conceive. Finding out if you’ll be decorating in pink or blue is easily just as exciting. Having to keep it all a secret though? That is rough. 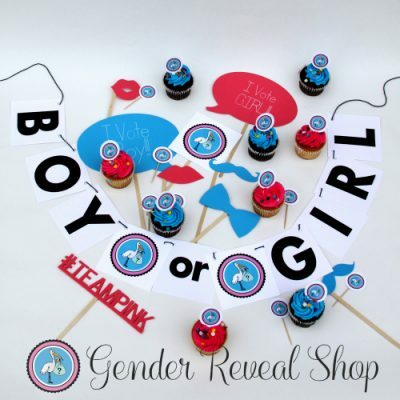 The Gender Reveal Shop is here to help make sharing your big news just as monumental as hearing the news for the first time yourself! 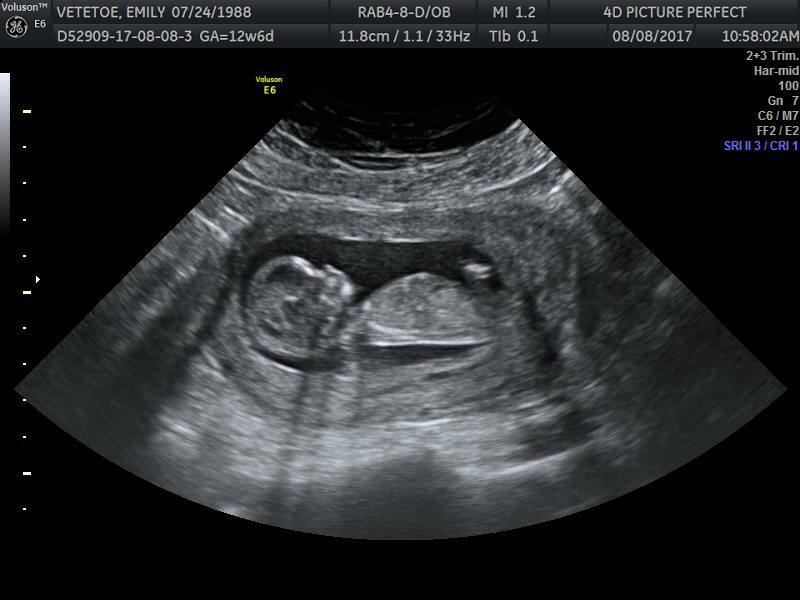 We announced in early September that Baby Vetetoe 4 is…A BOY! After three girls, seeing that little nubby ultrasound was shocking. The Mister and I both had tears in our eyes and left wanting to share the news with the world. Honestly, we felt similar after all three of our first gender reveal ultrasounds. Telling your friends and family what your little one will be is beyond exciting! This one was a little harder for us to believe (and I may still be in denial at times) but we already knew exactly how we wanted to share the big news. We had been planning this for three years and luckily we had a not so secret weapon: the Gender Reveal Shop. 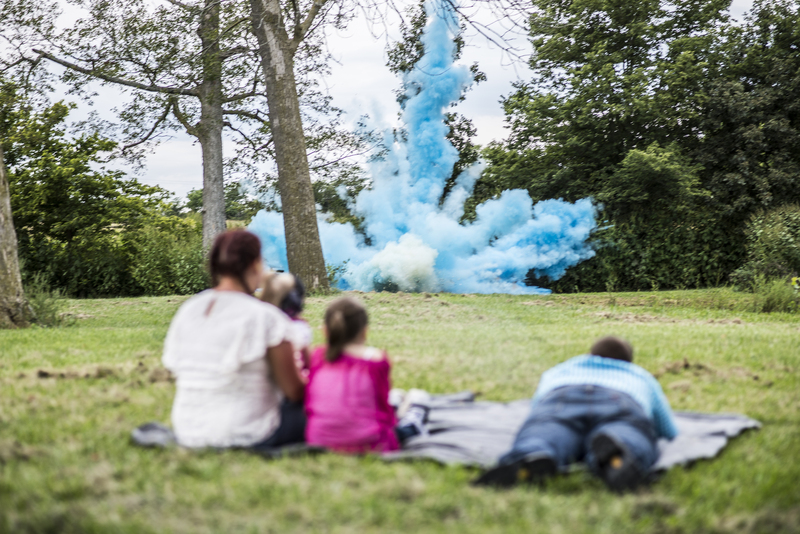 The hardest part of planning a gender reveal has to be keeping the secret to yourself. We were thrilled to discover that most packages from Gender Reveal Shop are delivered in less than three business days. Ours was delivered less than 24-hours after our order was confirmed. How awesome is that?! 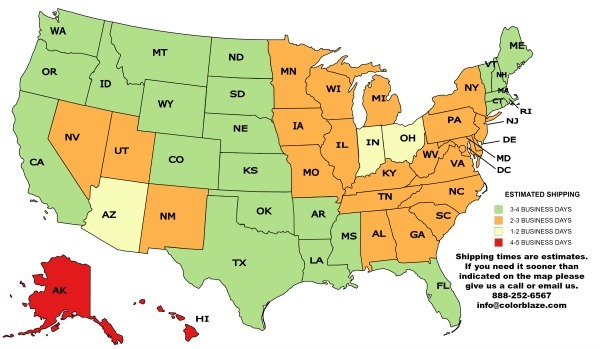 As long as an order is placed before 2pm EST, it will be sent out on the same day and will arrive according to the map below. Need it sooner? Simply contact them and they’ll try their best to help get it delivered faster! As I mentioned above, our package arrived less than 24-hours after I confirmed the order. It was in a Color Blaze box but the colors inside were completely concealed. 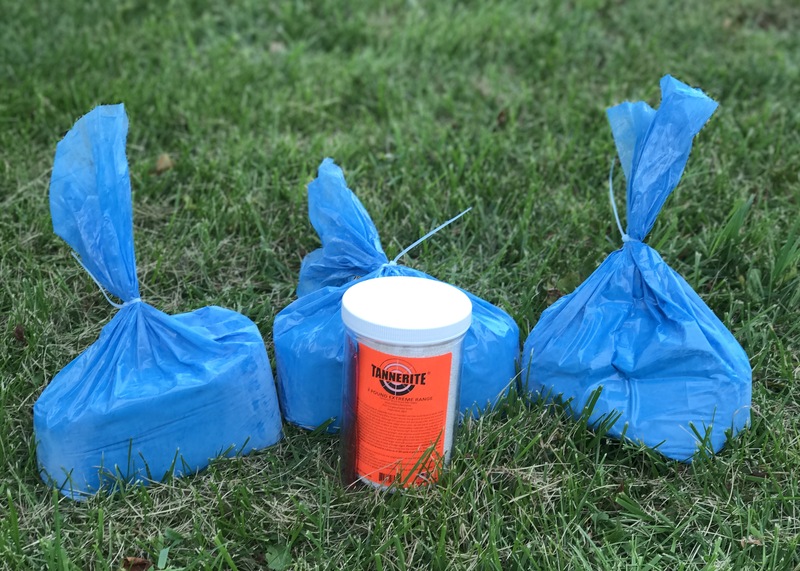 Once we opened the box up, there was a two-pound container of tannerite as well as 3 five-pound bags of blue colored powder. To conceal the color for our photos, we placed the bags of blue powder into cheap black trash bags (the cheaper the better so they disintegrate easiest), tied off the tops, and cut away the excess. 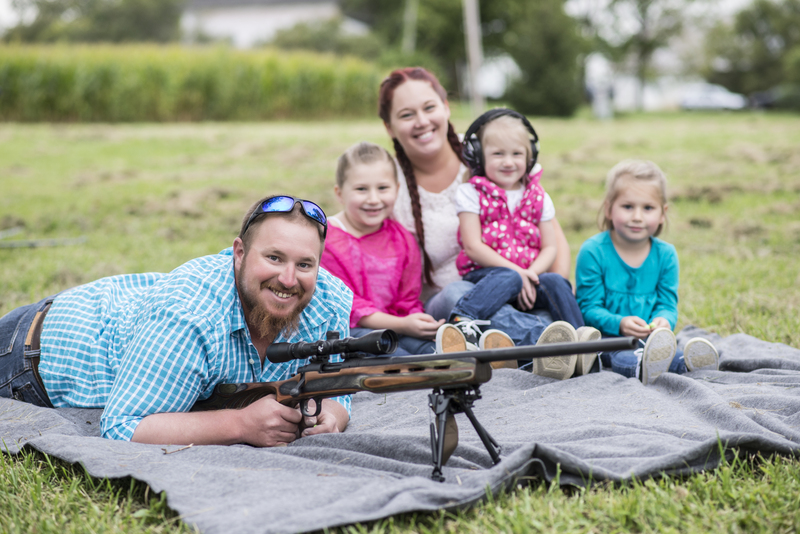 In the form that it arrives, the tannerite is completely harmless and will not explode. 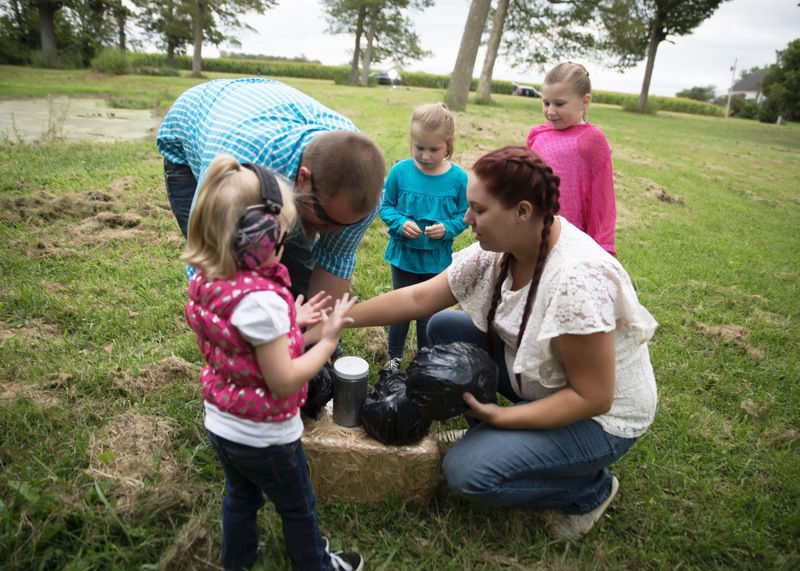 To prepare it, The Mister poured the tannerite into the second canister and mixed in the oxidizer. From there, we carried the setup down to the end of the yard and prepared to shoot our target. It is recommended that everyone be 200 yards from the target and that nothing which could become a projectile be used as a target surface. For the best explosion of color, we placed one bag on the left of the canister, one on the right, and one on top ensuring that even in the wind, we would get a shot of color straight up. After the shot, we had some fun taking photos in our amazing blue-tinted backdrop. 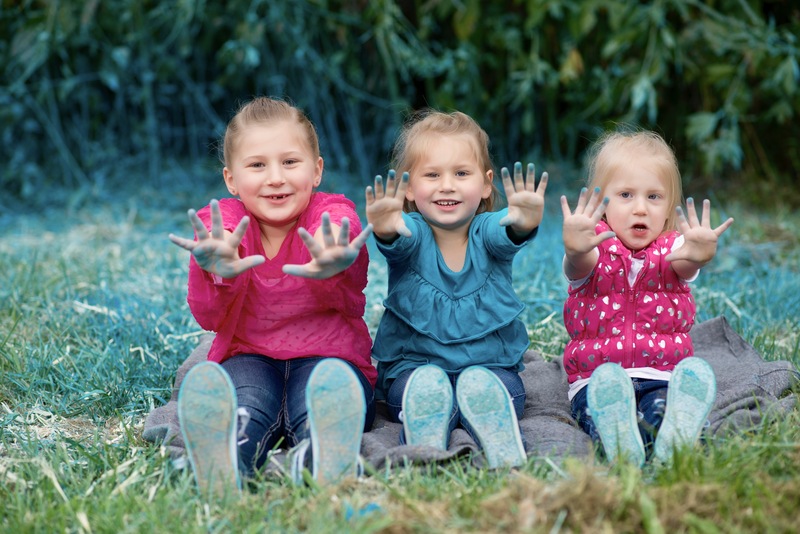 The colored powder ended up all over our hands, clothes, and even the kids’ faces. No worries though! It washed off our skin within a day or two and came out of all of our clothing with just one wash. It can stain some fabrics but for the most part, it shouldn’t be an issue if you shake the clothing out and use a pretreat as part of the washing. Be sure to use the code VFAM10 through October 31, 2017 for 10% off all orders! Previous articleBaby Vetetoe Number 4: Sneak Peek Review!